Strange Notions has kindly hosted a Q and A on my book Five Proofs of the Existence of God (which you can order either from Amazon – though they are temporarily out of stock – or directly from Ignatius Press). They chose ten of the questions submitted and have now posted my responses. Among the topics that arise are the nature of proof, polytheism, divine simplicity, and the relationship between Thomism and idealism. Part II of the two-part interview on the book I recently did for The Patrick Coffin Show has now been posted (and can be viewed either at Patrick’s website or at YouTube). This part is a Q and A session with the audience. Among the topics that arise are Thomas Nagel, process theology, the problem of evil, and invincible ignorance. A further reply to Fastiggi, etc. In an article at Catholic World Report, Robert Fastiggi is critical of the position I have taken vis-à-vis Pope Francis and capital punishment in my recent articles at Catholic Herald and Catholic World Report. I reply to Fastiggi in a new CWR article. At Public Discourse, E. Christian Brugger has published a two-part article (here and here) responding critically to By Man Shall His Blood Be Shed. I have written a detailed reply to Brugger which will appear at Public Discourse soon. I also recently replied to David McClamrock’s review here at the blog. By exploding the view that extreme anti-death-penalty absolutism is the only authentically Catholic position, the work of Feser and Bessette may be helpful in recovering a well-balanced view of capital punishment. Unlike the cases for God by Geisler and Kreeft, Feser’s case is NOT a Steaming Pile of Crap, and it is a great pleasure to consider a case that at least has the potential to be a reasonable and intelligent case for God. End quote. As they say, read the whole thing. “Feser’s case is NOT a Steaming Pile of Crap” may be my favorite book review ever. A few weeks ago, I was interviewed by Patrick Coffin before a live audience for a special episode of his show. The subjects were my book Five Proofs of the Existence of God, atheism, and related matters. You can now watch Part I of the episode at Patrick’s website or at YouTube. Part II is a Q and A session that will be posted next week. My recent Catholic Herald article about Pope Francis and capital punishment has gotten a fair bit of attention. Some of it has been positive, some of it less so. 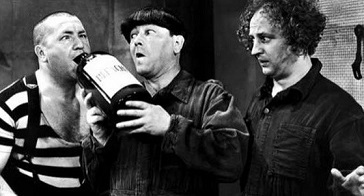 In a new essay at Catholic World Report, I respond to four critics – Austen Ivereigh, E. Christian Brugger, Mark Shea, and Robert Fastiggi. Pope Francis has made news with his recent remarks about capital punishment and the catechism. They are seriously problematic. In an article at Catholic Herald, I provide an analysis. LifeSiteNews has also asked me to comment on the story. UPDATE 10/17: You can now hear the Prager show interview online. 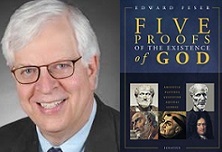 This Tuesday, Oct. 17, at 11 am PT, I will appear on The Dennis Prager Show to discuss my book Five Proofs of the Existence of God. In early November, I will appear on Unbelievable? with Justin Brierley to discuss the book. Pictured above are the ideals of the French Revolution, and of the modern world in general – liberty, equality, and fraternity. Note carefully how they manifest their chief attributes. Liberty freely indulges its desires. Equality shares what it has. Fraternity looks on with brotherly concern. And they’re all idiots. On Thursday, October 19, I will be giving a talk on the topic of scientism at UC Berkeley, sponsored by the Thomistic Institute. Details available at the Institute’s website and at Facebook. On Saturday, November 4, I will be giving a talk on the topic of conscience, at a conference devoted to that theme at Holy Rosary Parish in Portland, Oregon. Conference details here. On Saturday, November 11, Joe Bessette and I will participate in a panel discussion of our book By Man Shall His Blood Be Shed at the annual Fall Conference put on by the Center for Ethics and Culture at Notre Dame. On Friday, December 1, I will be giving a talk on the subject of scientism at Cal Tech in Pasadena, sponsored by Science and Faith Examined. More details to come. Last week I did a Skype interview with The Daily Wire’s Ben Shapiro. The interview has now been posted at Ben’s Facebook page. (You can also watch it on YouTube.) We talk about Five Proofs of the Existence of God, and also about free will and neuroscience.